Markony Immigration Services, LLP offers comprehensive legal services, specializing in Bulgarian Immigration Law and Corporate Law. Our extensive client list includes foreign business individuals, small and medium sized companies to charter operators, pharmaceutical companies and foreign governments’ agencies. The mission of Markony Immigration Services, LLP is to make the process of business relocation and immigration to Bulgaria as hassle-free as possible by providing its clients with accurate, personalized service. Led by a talented and experienced team of immigration lawyers who intimately understand Bulgarian immigration law, Markony Immigration Services, LLP is the only Bulgarian immigration firm recommended by the prestigious online legal guide, Global Law Experts in 2014. A year later, Advocate Vasil Markov, the managing partner of Markony Immigration Services LLP has been selected as Immigration Lawyer of 2015 for his profound expertise in the Bulgarian Immigration Law. Markony Immigration Services LLP is a winner of the 2015 Acquisition International Global Mobility & Immigration Awards. We are recognized as Best Business Immigration Firm in 2015. 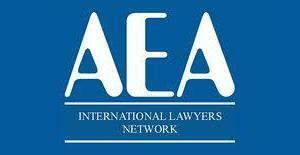 Markony Immigration Services, LLP is a proud member of the internationally-recognized International Lawyers Network AEA. As the world’s largest network of legal professionals, the International Lawyers Network provides clients access to comprehensive legal services around the world. As a member of the AEA, Markony Immigration Services, LLP has established successful partnerships with boutique and big top law firms from Europe, Middle East and North Africa, Asia and North America. The awards are handed out solely on merit and are awarded to only the most deserving businesses who have been nominated by their clients, peers and industry experts, for their outstanding work over the past 12 months. We are pleased to see that our value-based work has bore fruit. 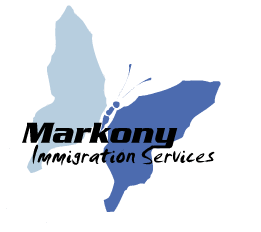 Markony Immigration Services, LLP provides legal services for all issues related to immigrating to Bulgaria including visas, residence permits, citizenship papers, passports, company registrations, and employment. For more information about our services please do not hesitate to contact us.